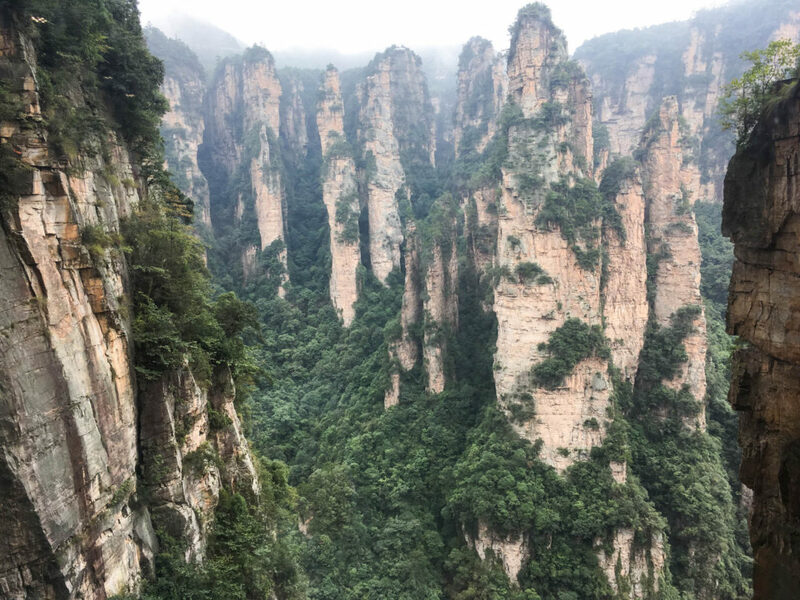 There is a unique place in China like no other seen before: The Zhangjiajie Mountains aka The Avatar Mountains. 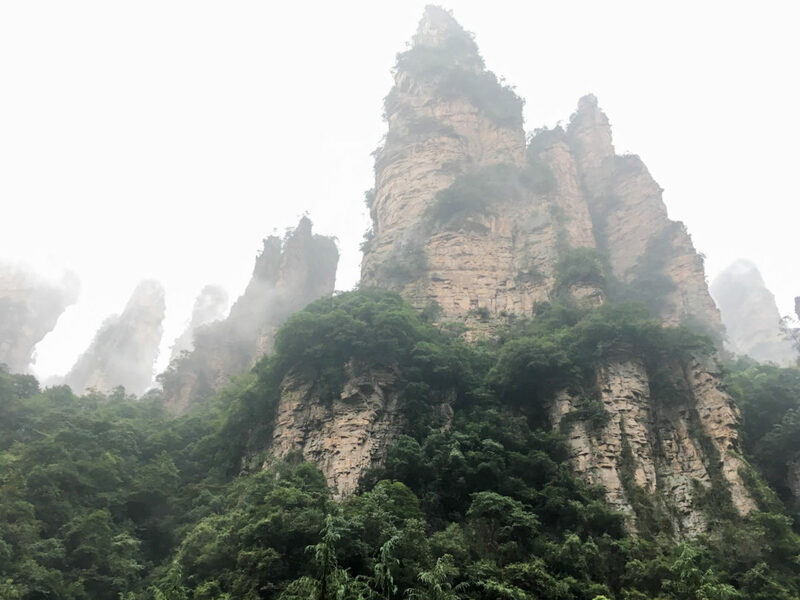 These amazing pillar-like formations are a distinct hallmark of Chinese landscape, and can be found in many ancient Chinese paintings. Beauty and unusual nature of the park are incredible. Mountain peaks and caves, streams waterfalls, rare plants and animals. 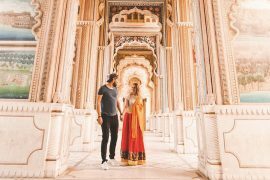 There is no photo that could show splendor and grandeur of this place. Experience your get in the place is much better than you can imagine. This is a place of wow. 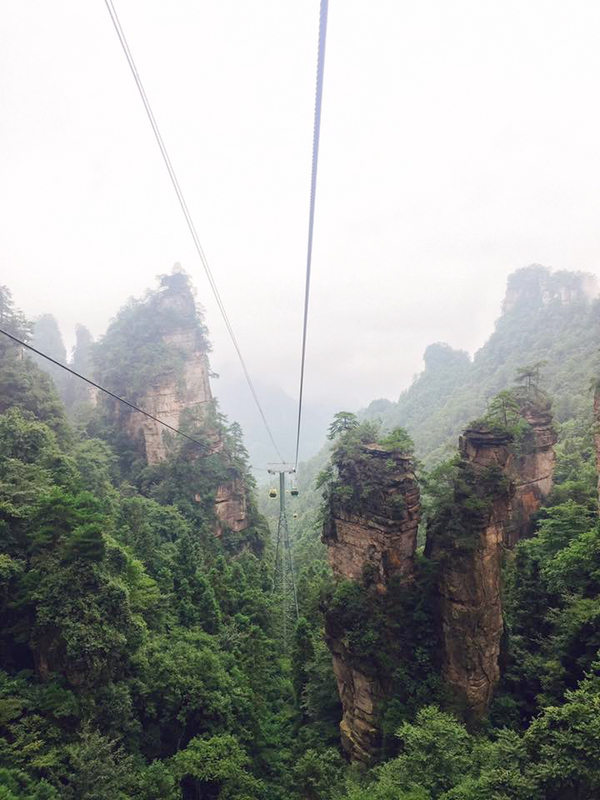 Zhangjiajie came into foreigner travelers’ eyes after the movie Avatar. 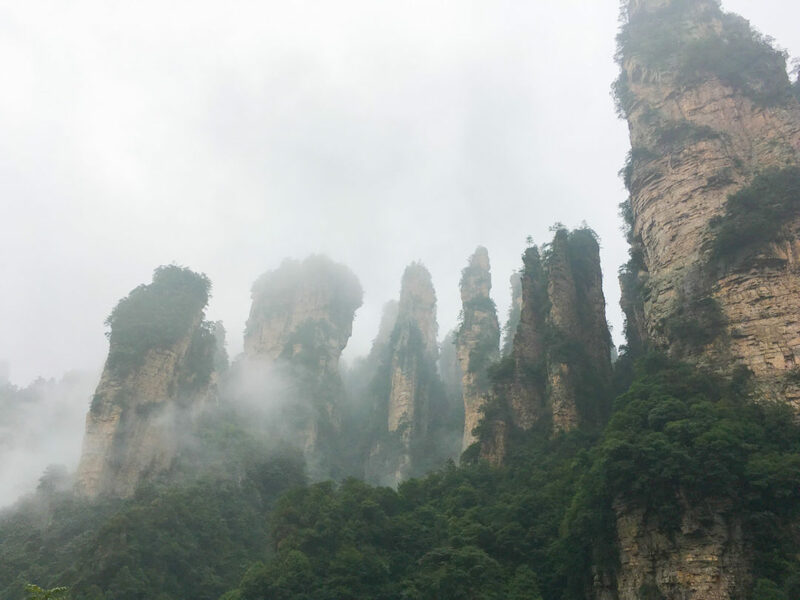 The Hallelujah Mountains in Avatar were inspired by Southern Sky Pillar in Zhangjiajie National Forest Park. 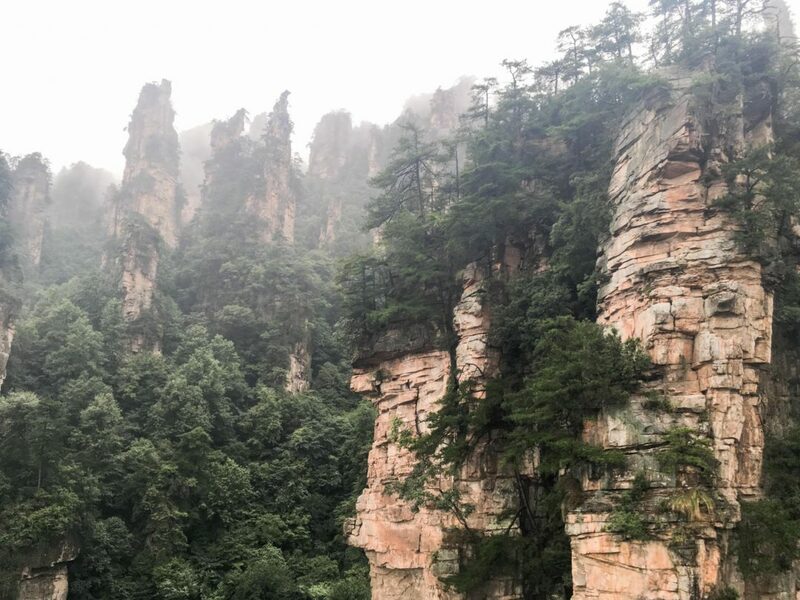 It is easy to see the comparison between Zhangjiajie’s mountains and those of the mythical Pandora. So you, see. 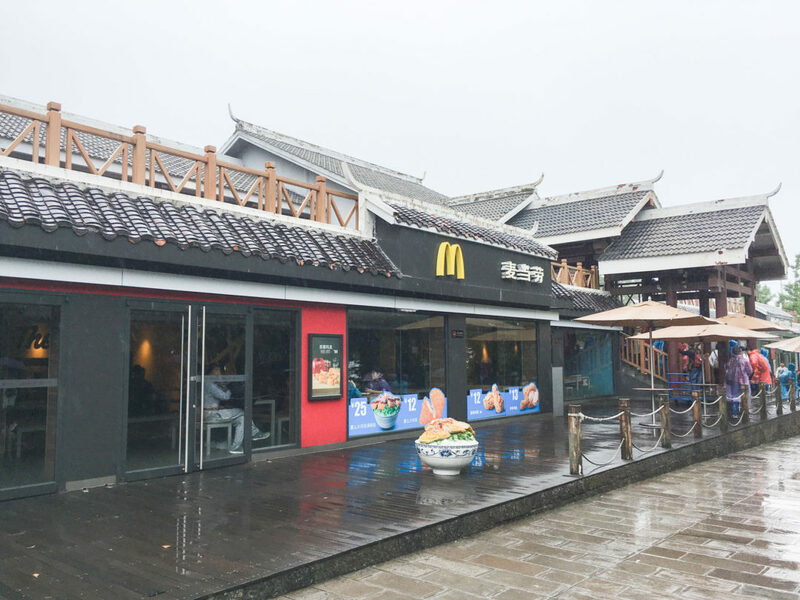 While in China, we couldn’t miss this amazing place. The only regret is that we had only 2 days of trying to discover the area. 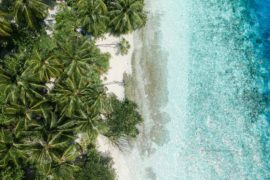 I was so amazed by the place that easily I could spend one week there without getting bored. 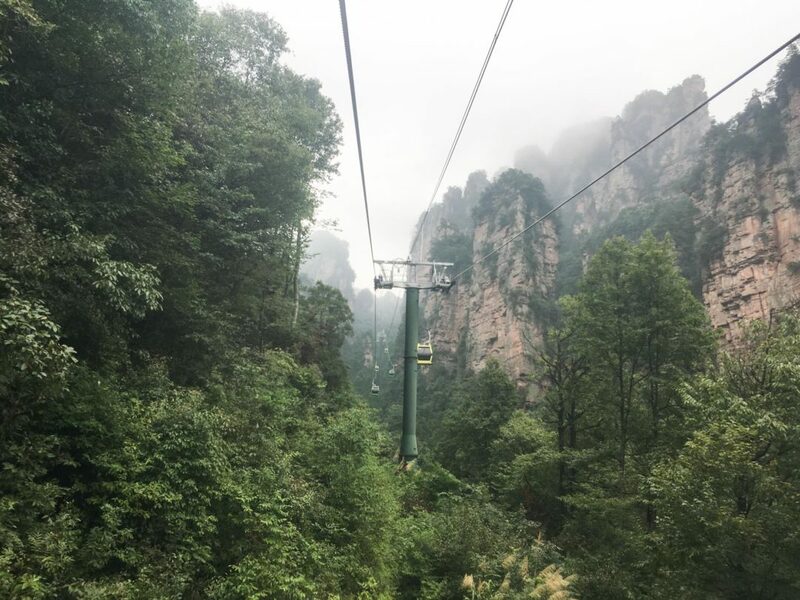 Zhangjiajie is located at over 1,000 kilometers away from both Shanghai and Beijing, close to the middle China, and it is the name of the nearby city of the famous Zhangjiajie National Forest Park. 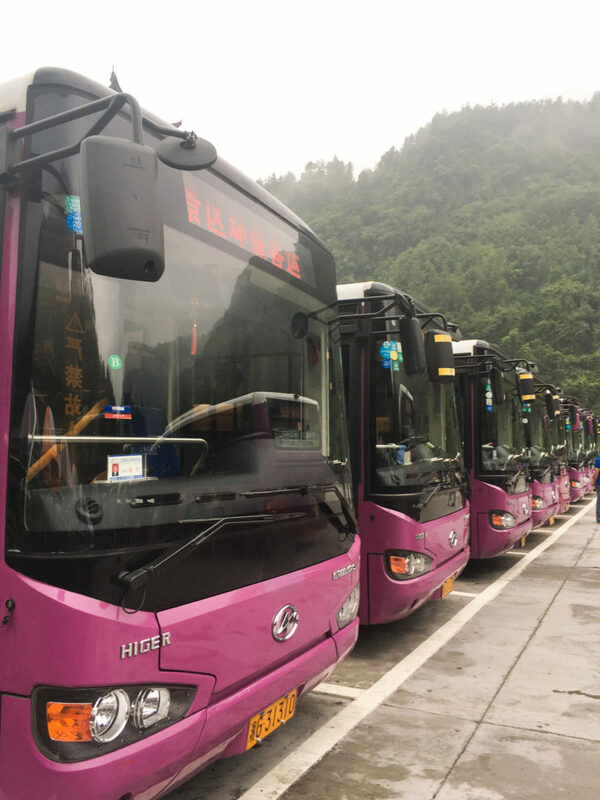 But in order to reach the National Park you have to take accommodation closer to the Park, to be more exact, you have to came to the Wulingyuan village, which is one of the base camp of the National Park. 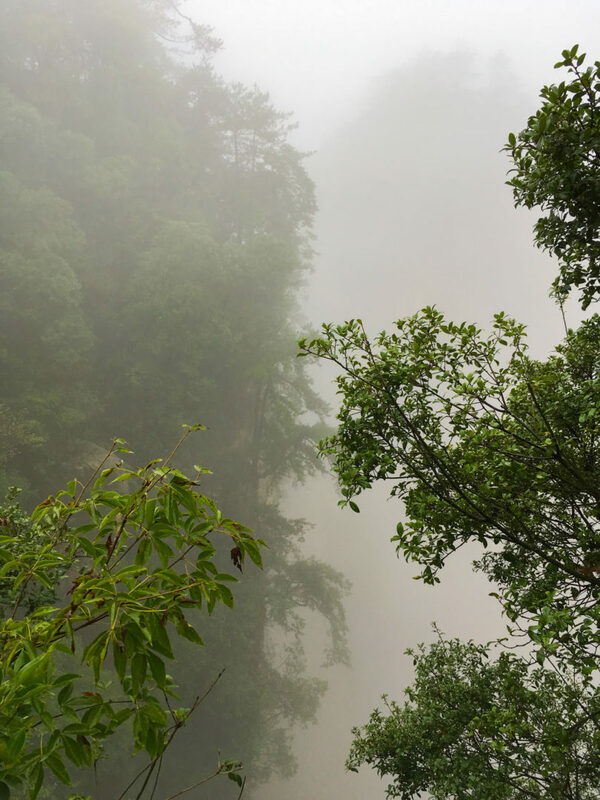 Though Zhangjiajie has millenary history, only after 1982 when became China’s first national forest park, entered in the eyes of the people. Till then it was a hidden diamante. 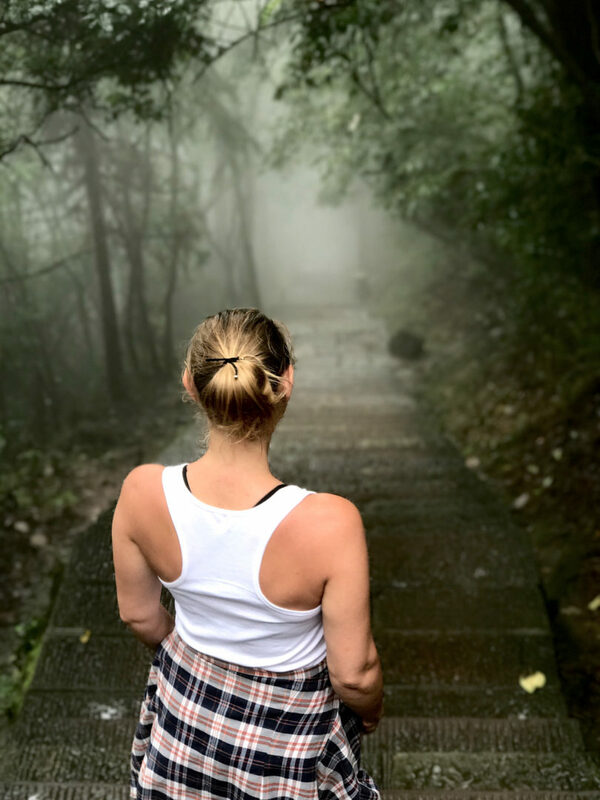 Once we arrived in the city, straight from the airport we wanted to head towards the park, yet more of China’s travel hassle! No bus connection from the airport to the Park. We negotiated for a long time for private cars to take us 30 km to the park. So after an hour we arrived at our hotel in Wulingyuan. 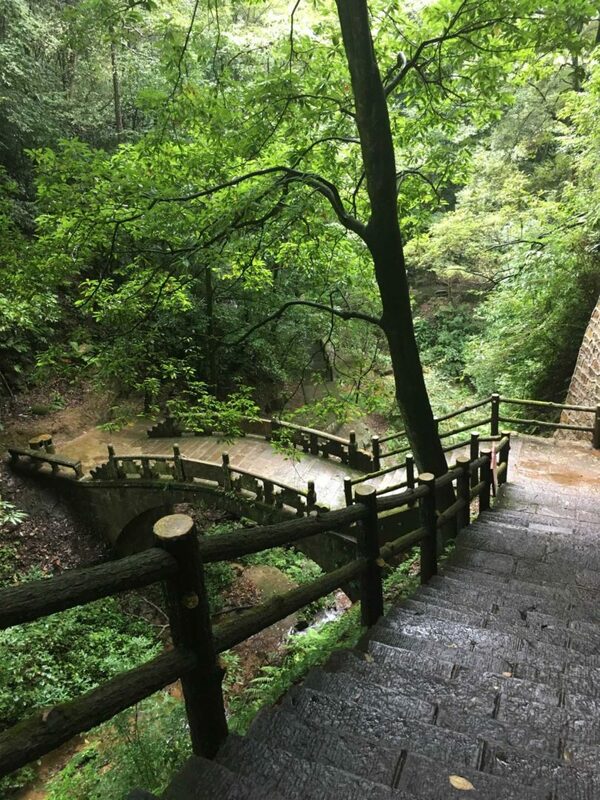 There are several entrances to the Park but the most used are the Zhangjiajie Forest park entrance and the Wulingyuan entrance. 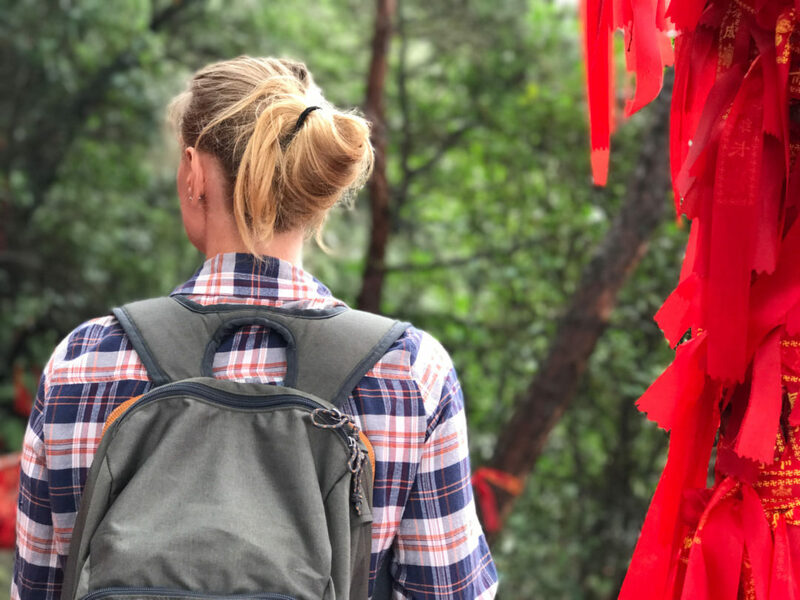 Most people stay in the village of Wulingyuan as it has a great atmosphere, plenty of shops, hotels, hostels and places to eat. 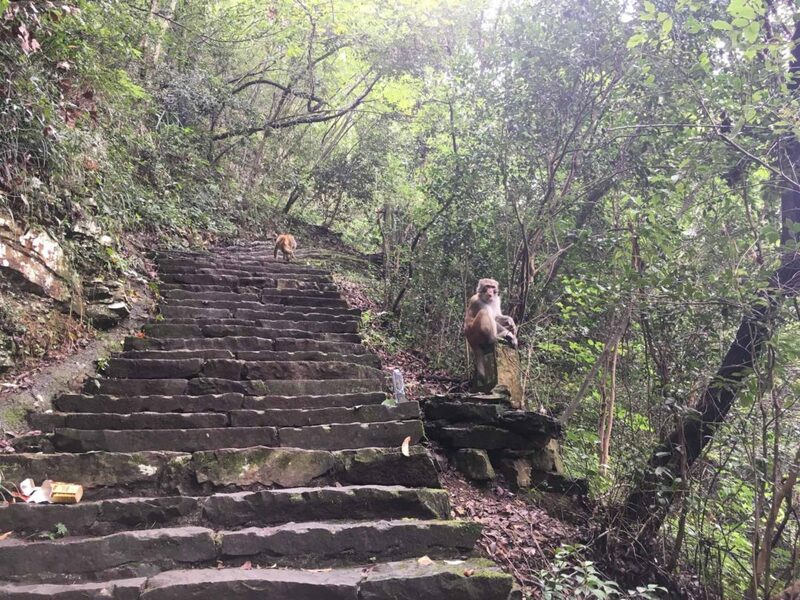 Wulingyuan is the best place to base yourself for exploring the park for sure! The next day early in the morning we were ready to start our adventure in the Avatar Mountains. 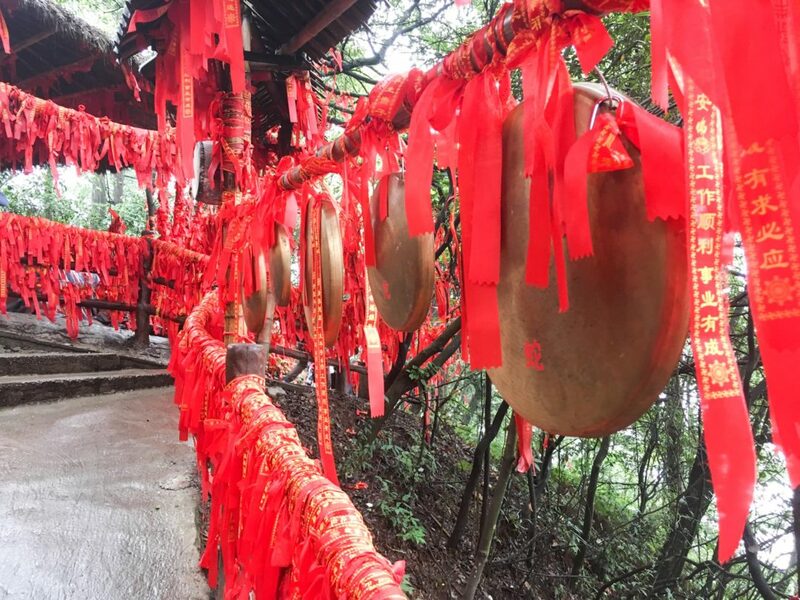 We were ready to discover Yuanjiajie pick which it is said to be one of the most picturesque one. The Entrance into the park costs 245 RMB, a little pricey but well worth the expense. A standard ticket allows for 4 days of entry, those 4 days however must be consecutive. Each card is also fingerprint scanned too so it can only be used by you. The park is huge and is serviced by several modes of transport to allow you to navigate it. The first is the buses, these run along routes on both the top and bottom sections of the park. These are free to use and will take you to great starting point for hiking and for using the other transport. To access to the top sections of the park, there are also 3 cable cars, a monorail and elevator to reach there. These all have additional fee which is quite high!! The only other way to get to the top is to hike up a mountain basically. Most route up to the top section take a couple of hours of walking up steps constantly! We took any transportation on the way up and save ourselves for the hike down. So we took our bus up to our first point: The tallest elevator in the world. 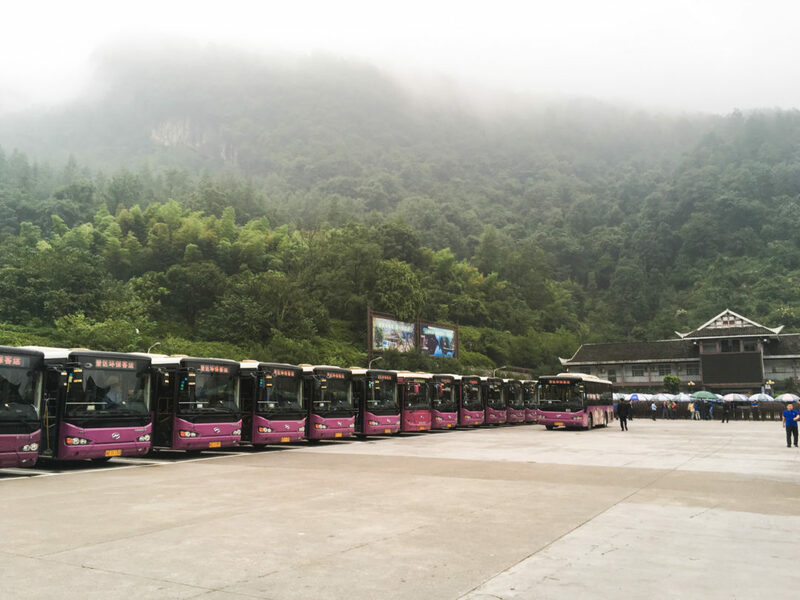 It brings tourists to the top and the center of Zhangjiajie Park. Previously, it was a three hours drive on dangerous mountain road to the top. Since the time has shortened to about 2 min. It was a big fust about it: about the stunning views of the valley, about the marvelous enginery. Actually the reality is that the capacity of the elevator is of 50 people, so not everyone can catch a spot to the window. And another thing is that half of the distance is through a tunnel of concrete, so you won’t see anything. So for us was a disappointment experience. May be we had huge experience and the reality could meet the expectation. And we were also lucky that there was no queue, generally you can wait for 2-3 hours in line. 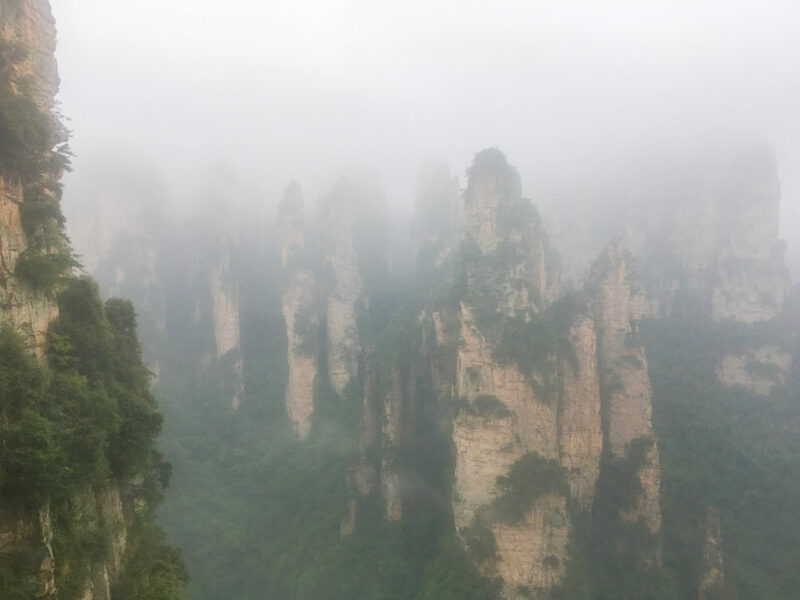 Yuanjiajie has long been known as a tourist destination in Zhangjiajie Forest Park. 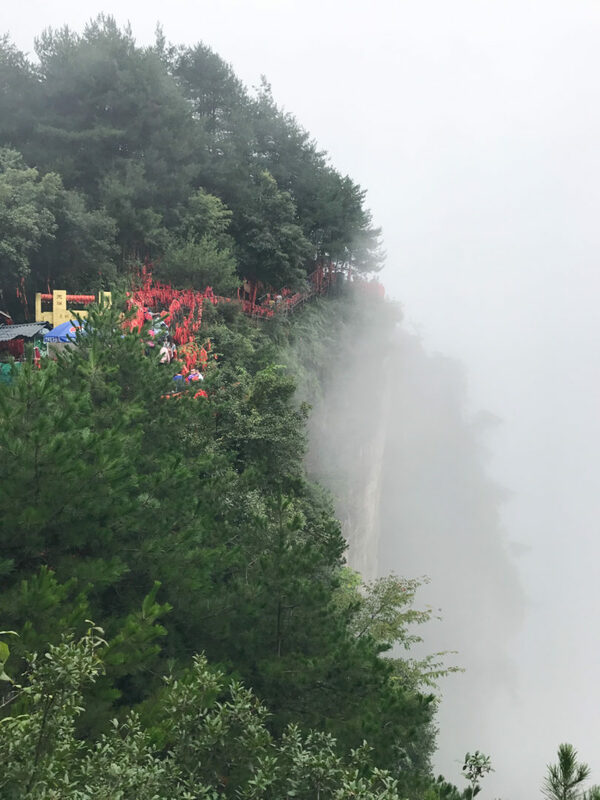 It becomes more popular as the Southern Sky Pillar inspired the floating mountains of Avatar, which makes Yuanjiajie Scenic Area a mountain platform great for enjoying sweeping. 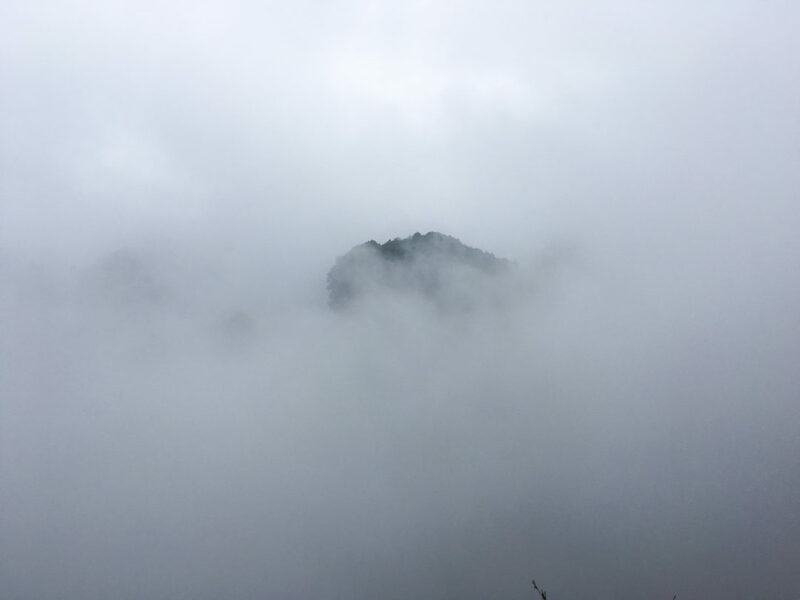 Having all this in our mind we rush to the platform to witness the stunning pillars formation…when big surprise: fog was in the house. Because of the fog, we didn’t get to see the anything. 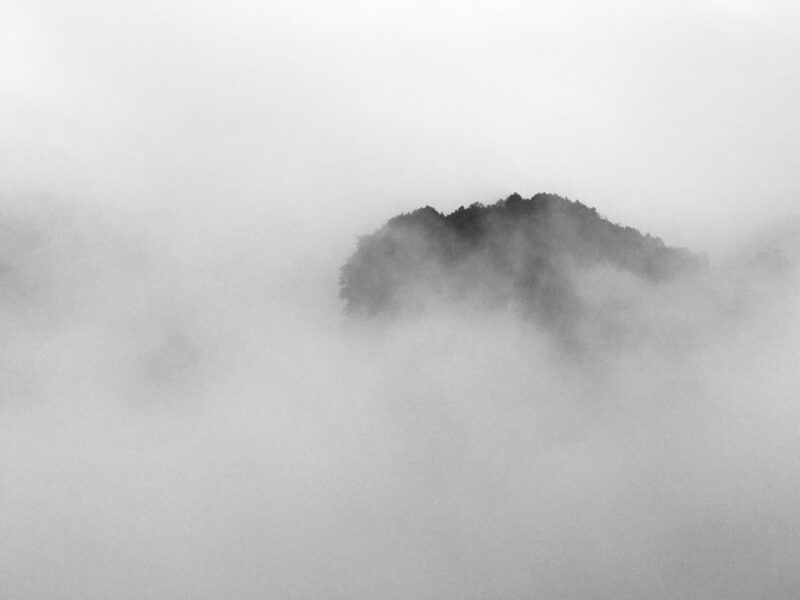 It was a dense fog almost unreal that was covering the area of the Hallelujah Mountain. 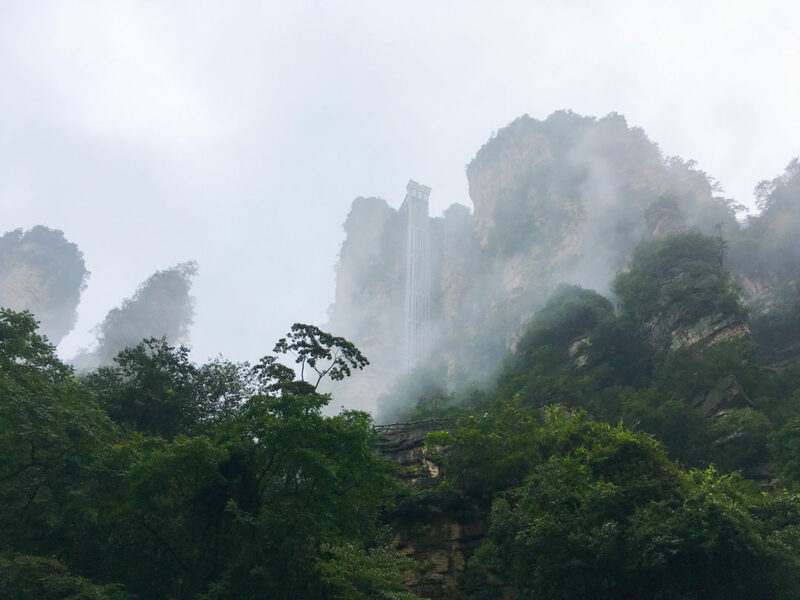 Zhangjiajie has continental tropical monsoon climate zone, known for its humidity.The moisture turns easy into fog which flows among the rock formations. It was such a great disappointment. 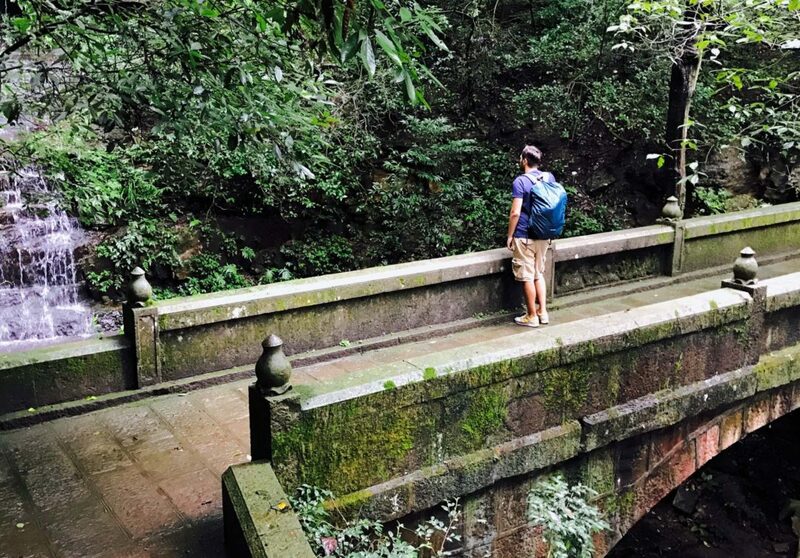 We walk around hopping to find a spot where we could see the famous pillars…but nothings. 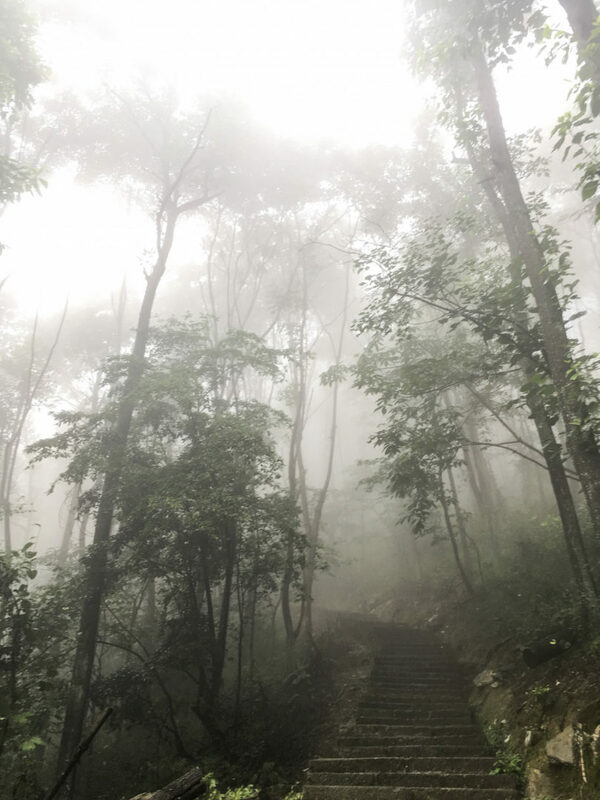 So we decided to hike down through a forest trail close to the Yangiajie Cable Car. 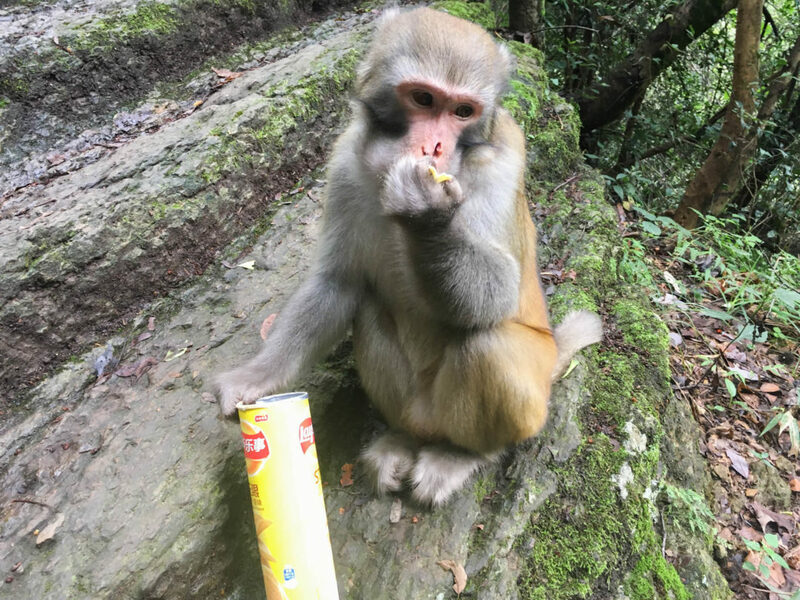 After an hour of hiking through the narrow path in the forest, suddenly we were attacked by two monkeys who aimed our food. 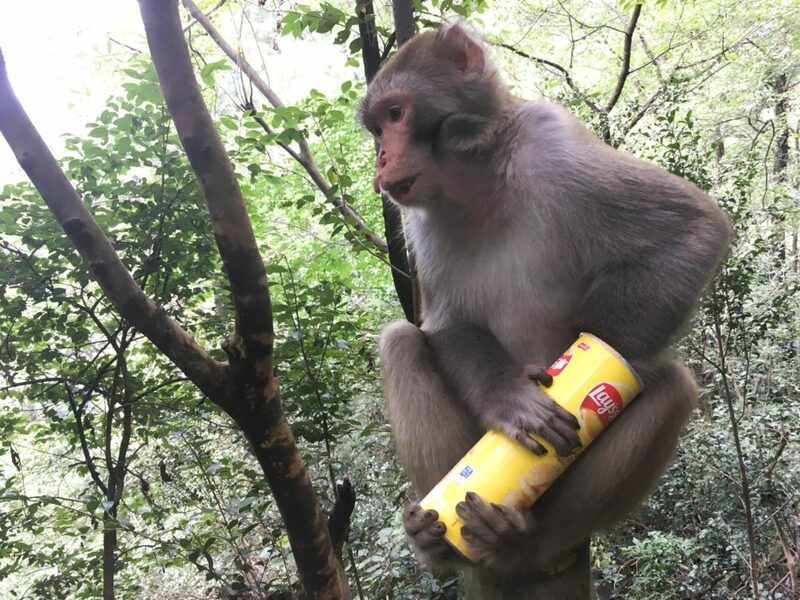 Once they stole the food, they just opened the box and bags and start eating. 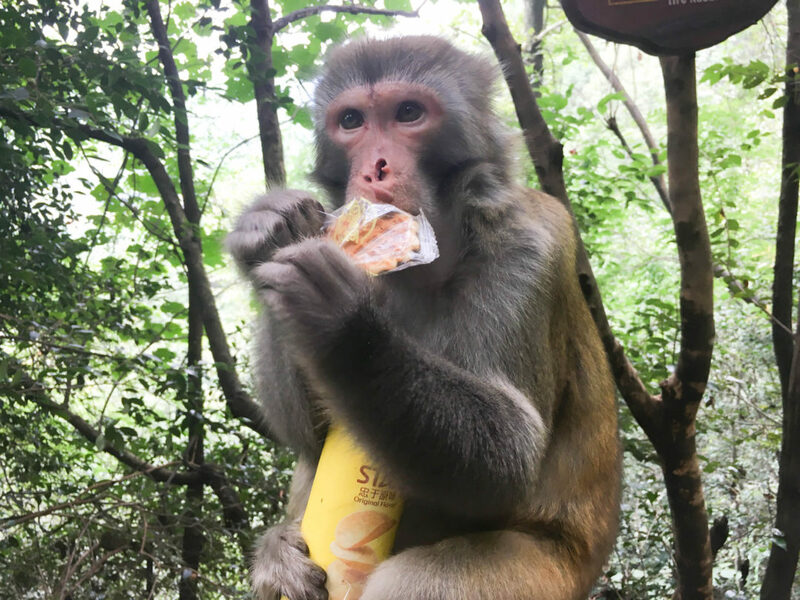 So, yes in addition to this amazing scenery, Zhangjiajie also has monkeys. They are everywhere so be sure to watch your food closely. These cute little guys are not afraid of people and have no qualms posing for photos. I think we were more scared by them. Once arrived to the base of the mountains we saw the weather looked better way up and decided to give it another try. These time we took the cable car on the way up the mountains and went again to some of the platform to see if our luck changed. Hmm!!! No way Jose!!! Tired and disappointed we took the elevator on the way back to the mountain base and then exist the National Park. Next day we woke up early in the morning to see that it is raining, but we were not ready to surrender to the mountain climate. 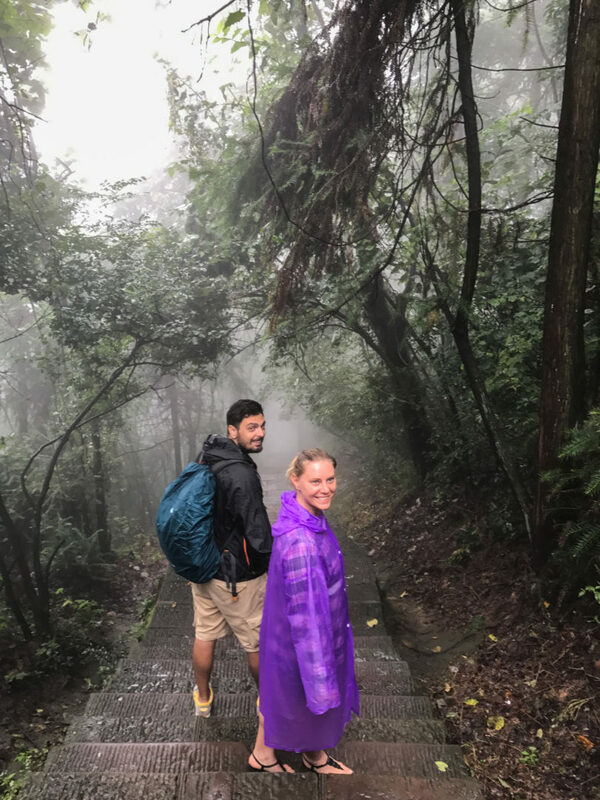 So we took rain cloaks and he started the hike again. 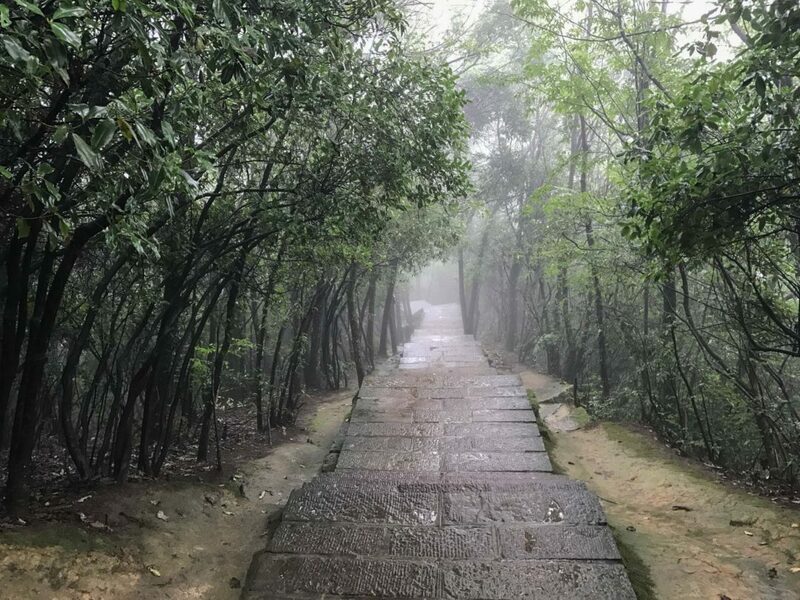 This time we went to the other part of the park in Tianzi Mountain. 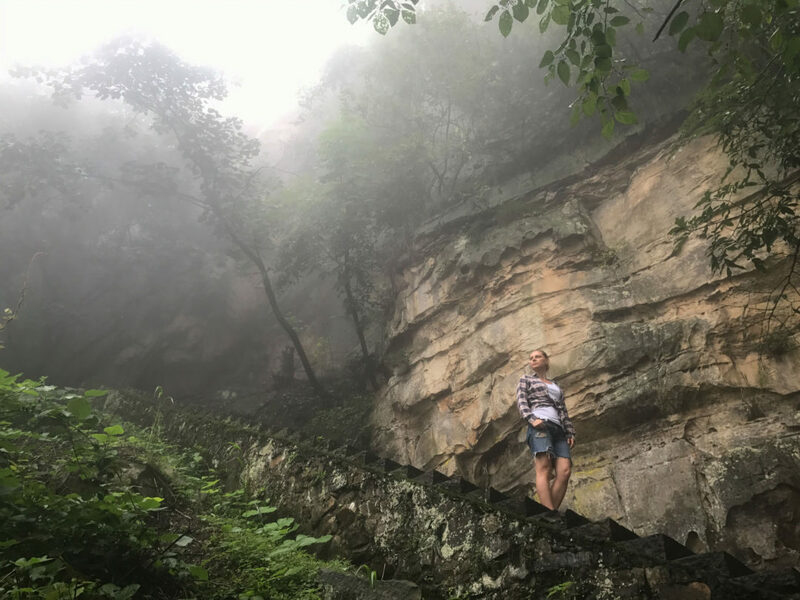 Tianzi Mountains is a gem for the eye. 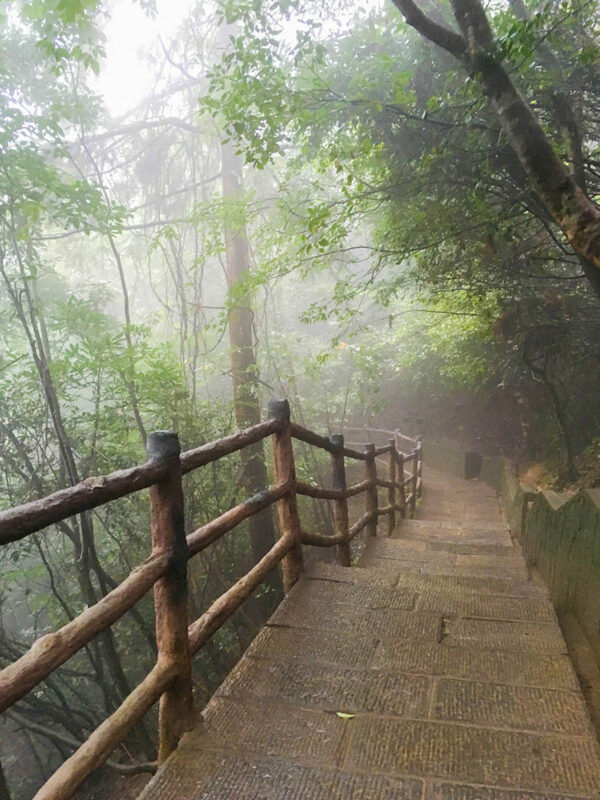 Tianzi (Son of Heaven) Mountain Nature Reserve is one of the four scenic spots in Wulingyuan. 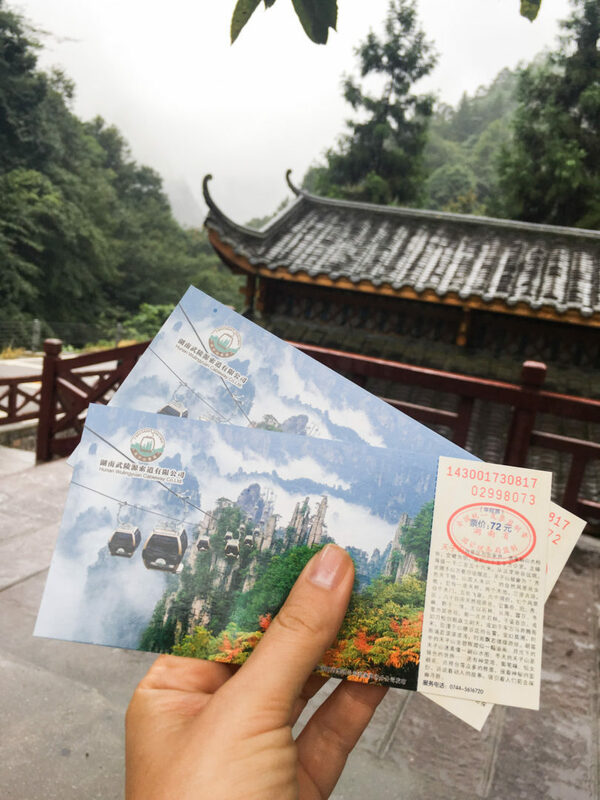 At 1262 meters tall, Tianzi Mountain is the tallest mountain in this section of Wulingyuan Scenic Area, offering spectacular views of the surrounding peaks, when they’re not trapped in the clouds that is. There are four wonders: the Sea of Clouds, the Radiance of the Moonlight, Rays of Sunshine and the Snow in winter. 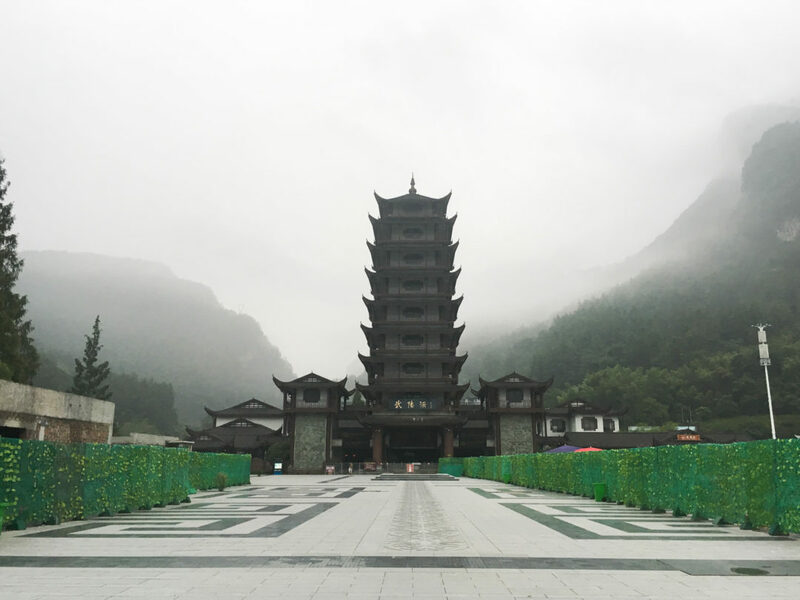 The name of the place comes from a man, a chief of the Tujia ethnic group who launched an uprising against the ruling dynasty. He was called the Son of the Heaven and after he was killed the people give the name to the mountains. We took the cable car way up to the mountains. The view was a splendid treat in the shadows of sandstone cliffs above a lush forest clad. Colossal statues of giants guarding the heavens, forming a landscape that looks like an artistic illustration of a fantasy novel setting. Its every nook is scenic, every cranny imaginative. It is as if carved beautifully by the gods themselves. But the real journey had not even started yet. 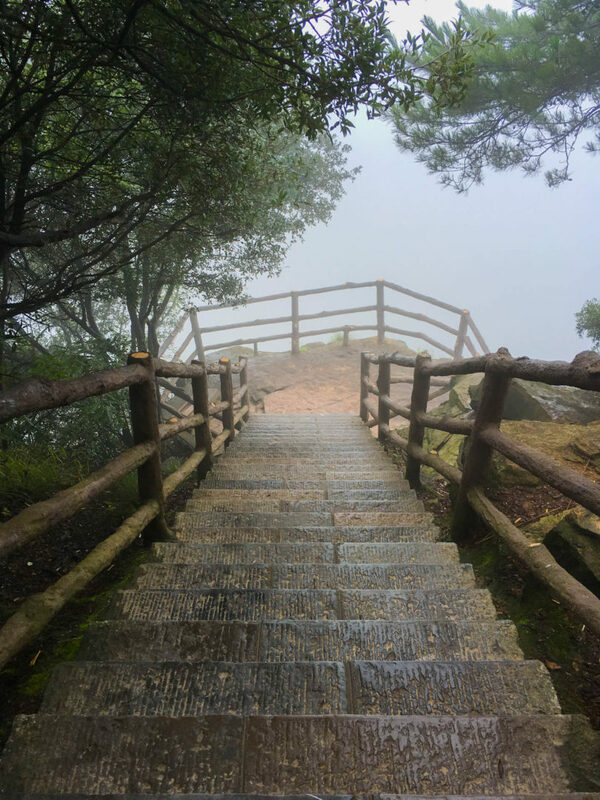 Once arrived on the top, it was raining so I zipped up my jacket and prepared for the hike. Surprisingly, the scent of burgers was the first to greet me. A McDonald restaurant stood happily on the mountaintop so we start with a coffee break of course. Here on the top there is a platform with several viewpoints. On misty springs and rainy autumns, clouds roll in between these cliffs like slow waves of the sea and the peaks appear as floating islands. Again we couldn’t see anything. We were in the clouds. Around 2 hours later hours later we were soaked, wet, and a bit disheartened, ready to quit, but we didn’t. instead we started to hike down through a forest trail. This time the forest in fog and mist just like an enchanted forest. It was a fascinating experience to hike this forest. 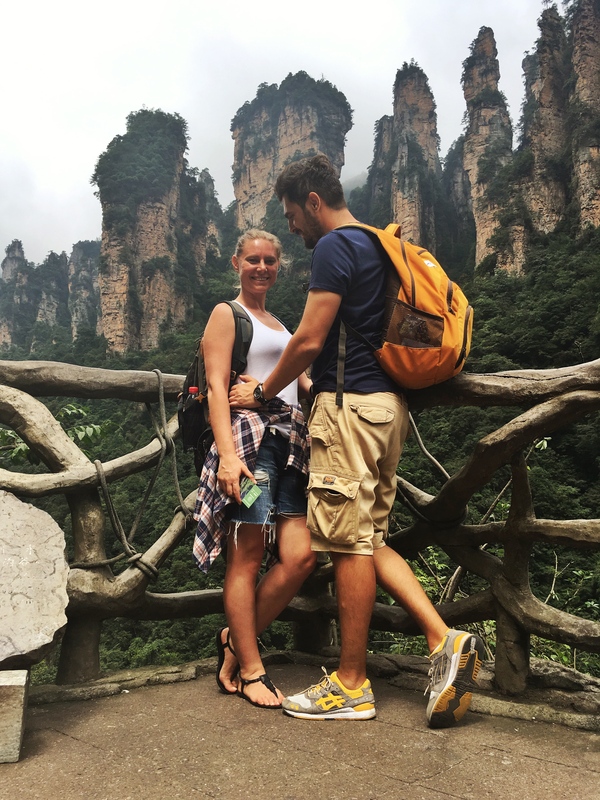 Overall, hiking in Zhangjiajie was an amazing experience. The only issue is that your experience really depends on the weather. And even though we did plenty of planning we didn’t expect the series of misadventures that unfolded. 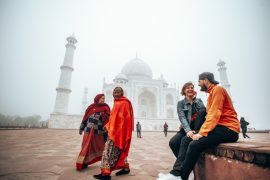 But again it is an unique experience, once in a life time and my only regret is that we didn’t had few more days more.